4 surprisingly easy ways to refresh your packaging with custom branding! Have you ever thought about custom branding your packaging? what does your current packaging say about your business? 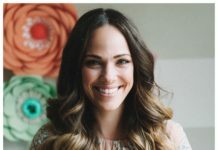 Whether you are a Maker/Artisan just starting out in local craft markets or an established brick and mortar retail store, your packaging should say a lot about who you and what you are about. For example, it can be a very important part of your product. In the case of a Maker at a market, it can mean the difference of whether a customer chooses your products over those of someone else. That can have a significant impact on your overall sales. Does your packaging compliment your products? Does it say, “pick me!” to potential buyers? For the Retailer, the way you present (or package) your customer’s purchase can have a lasting impact on how they felt about their shopping experience. It can make the difference of whether they keep coming back or not. And whether they spread the word about you…word of mouth recommendations are gold! Does your packaging reflect your Store’s brand? Does it say “thank you, we value your business”? What if you’re an online seller? Since you don’t have personal interaction with your customer, your packaging is the first thing they’ll “meet” when they receive their order. Does your packaging help create an unforgettable “unboxing” experience for them? Have you had the same packaging for a while? Is it interesting or creative? Is your packaging saying the right thing about you? If not then maybe it’s time to REFRESH! 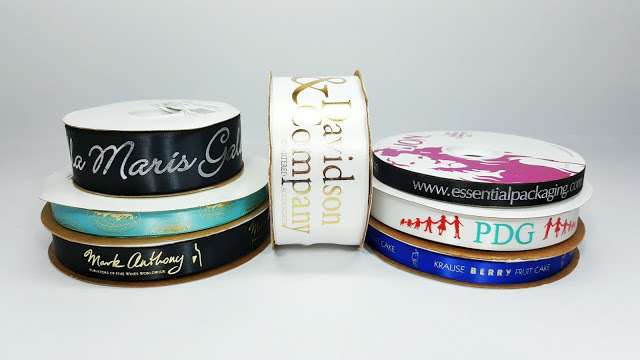 Custom branding on ribbon is a great place to start if you’re needing a refresh. 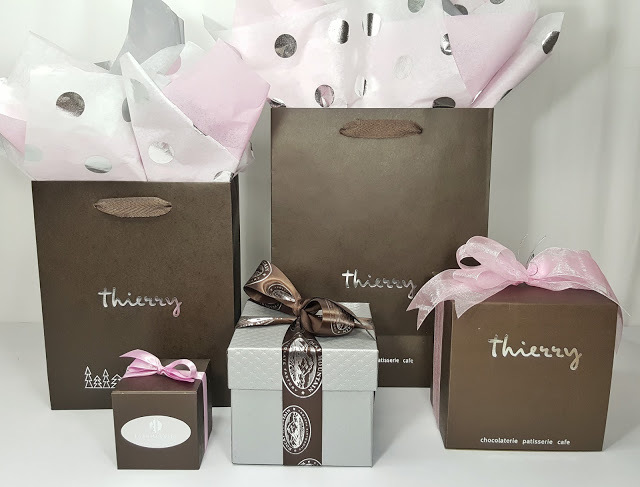 With ribbon being so versatile, you can tie it on gift or clothing boxes, shopping bag handles and gift card folders. It can make your customer’s purchase look “gift wrapped” which adds perceived value. This can be relevant for both in-store or online purchases. Imagine opening a plain shipping box from an online purchase and a beautifully wrapped gift is waiting for you inside…wow!! Custom branded ribbon on cello wrapped gift sets or baskets makes them ready to give as gifts. 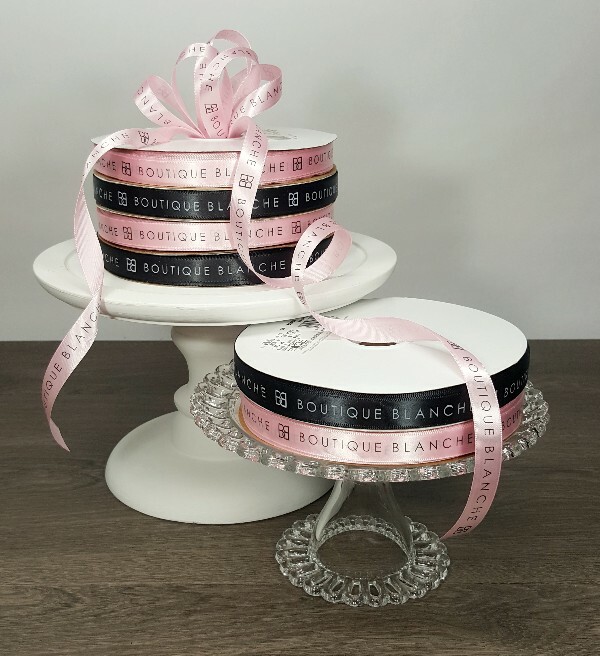 With so many imprint colors, ribbon colors to choose from, custom branding your ribbon is an easy way to really dress up your packaging! 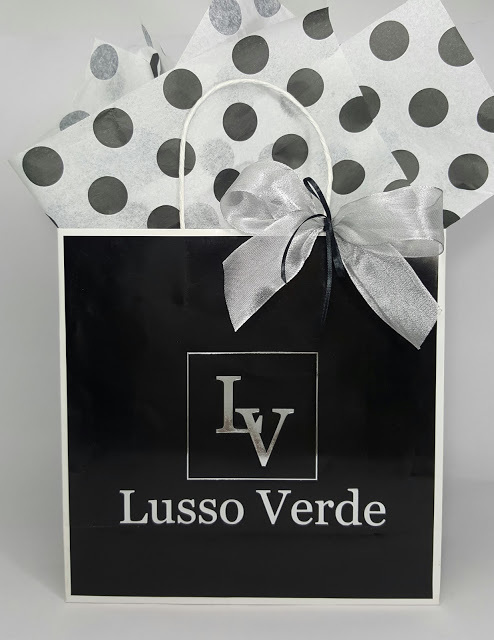 Custom branding on bags…this is the ultimate in presentation! 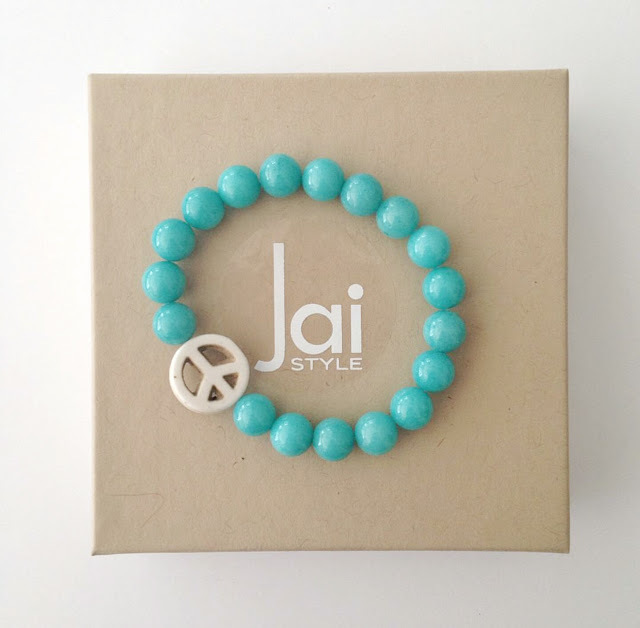 It evokes sophistication and is a great way to build on your brand’s recognition. This is also a great example of “presentation is everything”! With so many bag types, it can be a very affordable option too. Whether it’s a paper shopping bags or a glossy boutique bag, there’s something to suit your needs. Who wouldn’t want to walk away with a purchase that looked this good?! Remember, customers walking around with your custom branded bags are basically walking advertisements for you! Custom branding on your labels can be a perfect place to start on your packaging refresh. It’s a great opportunity for anyone including Makers, Retailers and online businesses. 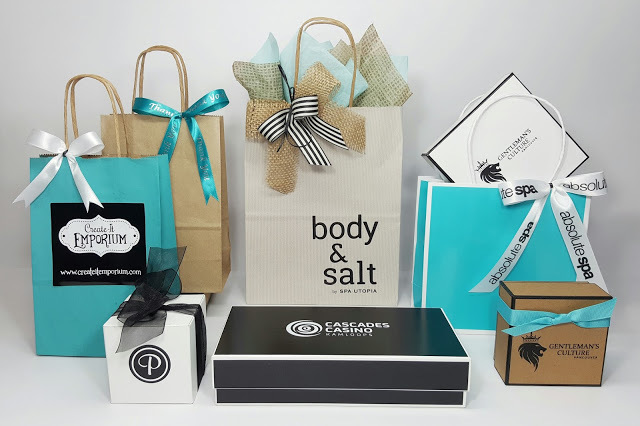 Self adhesive labels are very versatile and can be put on virtually anything: bags, boxes, gift card folders, products, tissue paper, gift wrap and tags. If you’re not quite ready to take the plunge and have custom branding on all your packaging, this could be a good first step. It still gets your name recognized and that’s always a good thing! 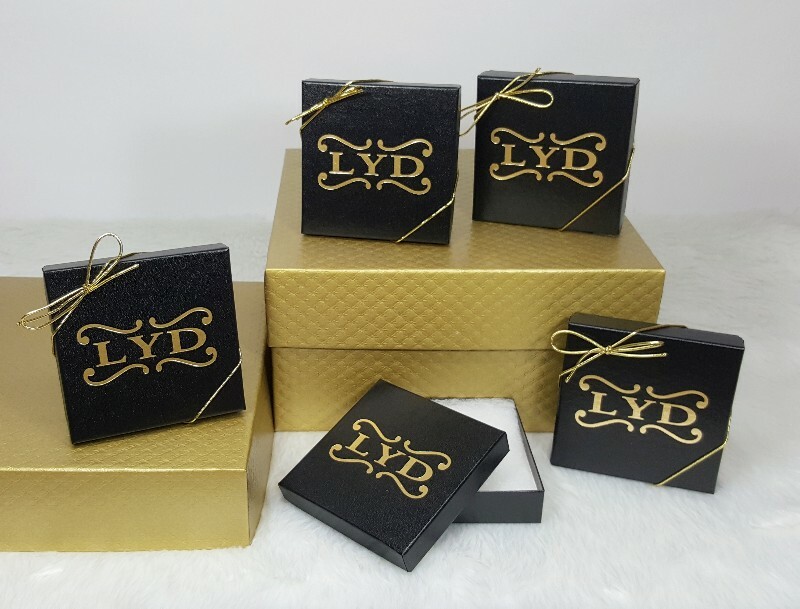 Custom branding on boxes…an easy way to add some luxury to your packaging! We can all picture a blue Tiffany’s jewelry box, right? Why is that? Because it’s an iconic representation of their brand. Well, borrow a page from them and create your own version. 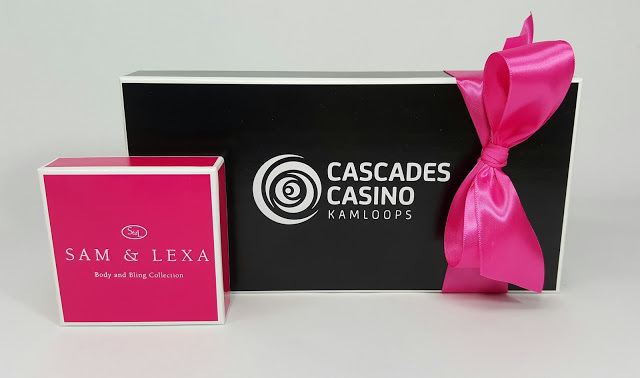 Custom branded boxes can be imprinted with a logo or message, in a variety of colours to suit your purpose. Don’t forget to add ribbon for a complete, gift wrapped presentation. Remember, if you’re looking to REFRESH your packaging, consider custom branding! 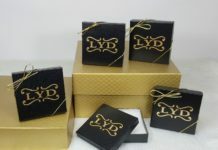 Need some help with custom branding your packaging? We can help! Contact us and we’ll help you create something that’s perfect for your needs! Next articleWhat poor quality packaging looks like and why you don’t want it!